A modern take on Molding Plane Irons. Traditional Molding Plane Irons were relatively thin, closer to 1/16" thick. This version has more than twice the material, at .150" thick. 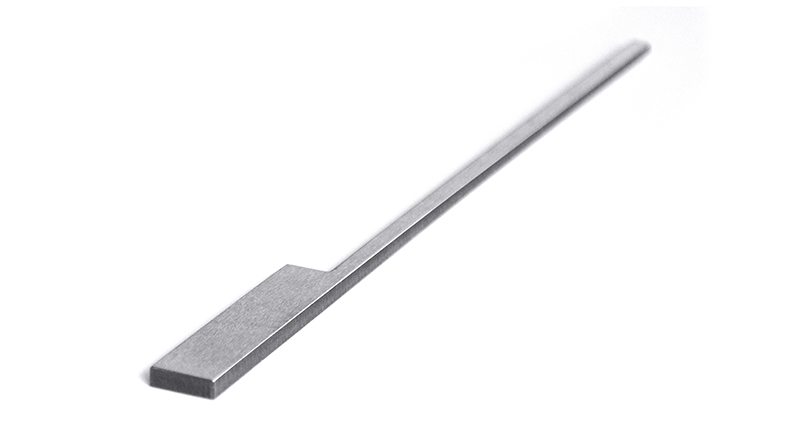 The additional mass of the thicker blade should help absorb vibrations and make for a smoother cutting tool. Made of annealed AISI O1 tool steel. 1/2" (1.27cm) blade width, 5/32" (3.96mm) tang width. For numbers 5 and 6 hollows and rounds. 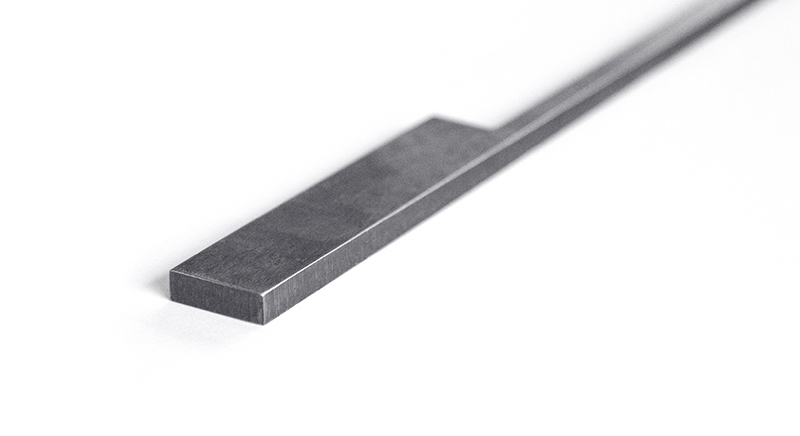 Molding Plane Iron Blank, 1/2"